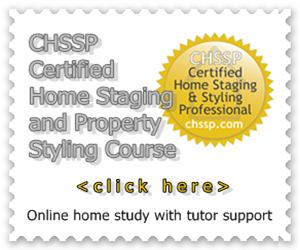 Home Staging can really help you to sell your home faster for optimum selling price. In a property market where buyers seek keener property investments, how you present your property for sale can turn off or win over the buyers in a few seconds. 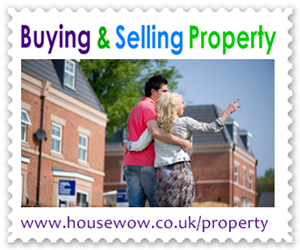 Well-presented property makes all the difference to attaining the optimum selling price and a faster sale. From the property sale marketing pictures in the Estate Agent's brochure to the first viewing, the buyers assess the real value of your property. Some small cosmetic and visual improvements can ensure that the buyers see the value in your property and imagine it as a home for themselves. We give you some home staging tips and home staging ideas below to create wow factor for property buyers. Turn on all lights for viewings to add atmosphere. Home Staging has varied options - decorating and expensive changes to fittings may not be required to improve the chances of a sale - it is more important to get the balance right and prioritise a budget for home staging when selling. 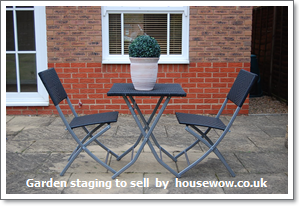 Home staging should provide buyer appeal through psychological feel good factor to the viewer from the first impressions of kerb appeal right through the entrance way, all rooms and garden of the house. 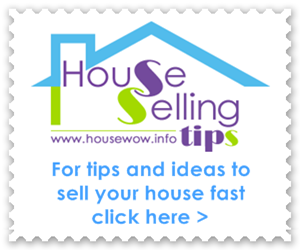 HouseWow® Associates in your local area can offer professional home staging advice and services including furniture rental. From initial fast advice to support for declutter and styling, ordering appropriate furniture and accessories or project managing trades, decorations and repairs. If you have found these home staging tips useful and would like more specific information on improving your property to sell please get in touch. "We were selling in the UK on a very tight budget after tenants had left our house in a state that was impacting on our ability to sell the property - not forgetting the challenging market conditions in Croydon. Your patience, flexibility, advice and focus on our budget was really appreciated. Your really responded to our needs and made us feel the distance wasn't so difficult after all. And of course the finished project was beyond our expectations. We were thrilled. The house sold the next week at a price that we had given up hoping for. We have no hesitation in recommending you and I hope your business continues to grow.